What Are The Key EdTech Skills New Teachers Need to Know? A few years ago a colleague and I tried to sit down and put together a list of things incoming teachers needed to learn to get through the year. It became so extensive we never did anything with it. We feared that if anyone who claimed to be “not techy” ever looked at it, they would just throw in the towel and call it quits immediately. The reality was, however, that if you knew the basics of technology you wouldn’t have any trouble keeping up with the list. You just needed some basic background and you could understand the tools you were being asked to use. Sometimes I think that teachers have never had the building blocks put into place to explain to them how computers work, what a hard drive is, what it means to back something up, etc. We scaffold for kids but sometimes I don’t think we ever scaffold for adults. There isn’t time, so we just power through. So, I guess I am saying that I think that what teachers need with regards to edtech is some basic knowledge about technology so that they have a solid foundation off of which to build new skills. We talk about our students being digitally naïve instead of digital natives, and I believe that many of our teachers are the same. 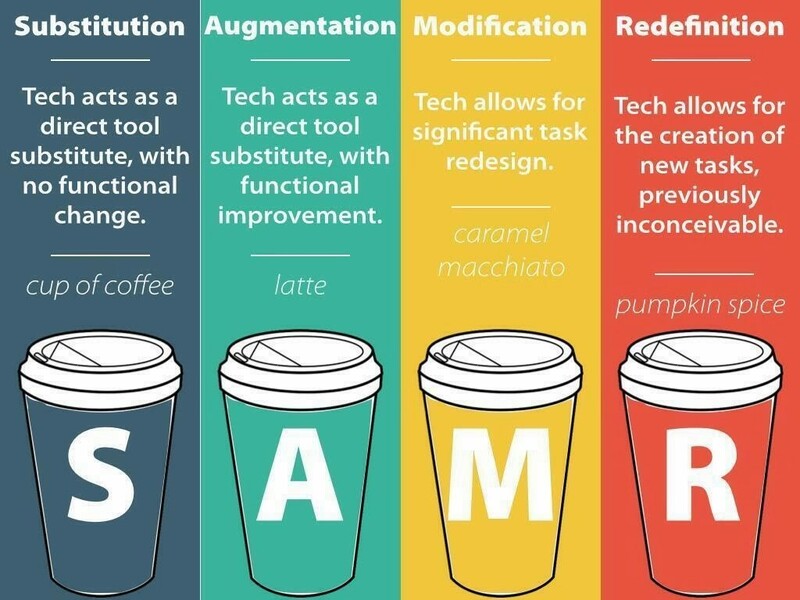 Understanding a model such as SAMR is my first suggestion for a tech skill. Ok, it is not really a skill, but it lets you wrap your skills around a model and justifies where to spend the time; especially in the beginning. Let’s take a look at the SAMR model and pull some skills. That one is basically just using the keyboard instead of pencil. Not much new skill needed there. Augmentation takes us to another level. For me that critical skill here is understanding how the cloud works and how it enables easy collaboration. This is not always an obvious skill for some people to see out the gate. For example, I once had a principal tell me he did not understand the difference between using a Google document for a shared agenda and how that was different that simply passing a single computer back and forth. If you are not comfortable organizing and sharing documents and files in the cloud (think Google Docs) then this is the skill for you to learn. Modification calls for “significant task redesign.” You might find the use of video to capture an extension to student work living here. For example, have your students do a voiceover for an iMovie where they are reading their completed story. Of course they need to add photos as well that represent what they are reading. 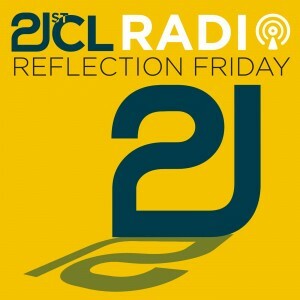 Do a weekly show where students reflect on their favorite part of the week. Super writing opportunity in the younger grades and an awesome way to learn presentation skills. After posting on their blog or other eportfolio, students drop comments to each other about work of their peers. Skill to learn: Video production. Doing something, previously inconceivable without technology, is a big step. Adding the skill of leveraging the communication revolution to create a tribe of individuals with similar passions is what to aim for. This might mean starting a new TwitterChat about a topic you and your students care about. Creating a connection with a classroom outside of your school where you collaborate on something together. Really it is all about articulating passion and using the communication tools we have to get others on board with your ideas. Very tricky!